FLAG is the acronym of Ferdinando, Laura, Alice and Gaia, the names of the members of our family. We have chosen it to give a name to our jobs because they are born as a choice of life. It brings with itself the value of a dream and our daily will to achieve it. I graduated in Information Technology and I own a Master in Medical IT. For fifteen years I worked in a company that manages information systems in support of healthcare. As a human being I always been committed to political and social involvement but also to creativity that – after discovering the world of ceramic – has become more and more part of my life. 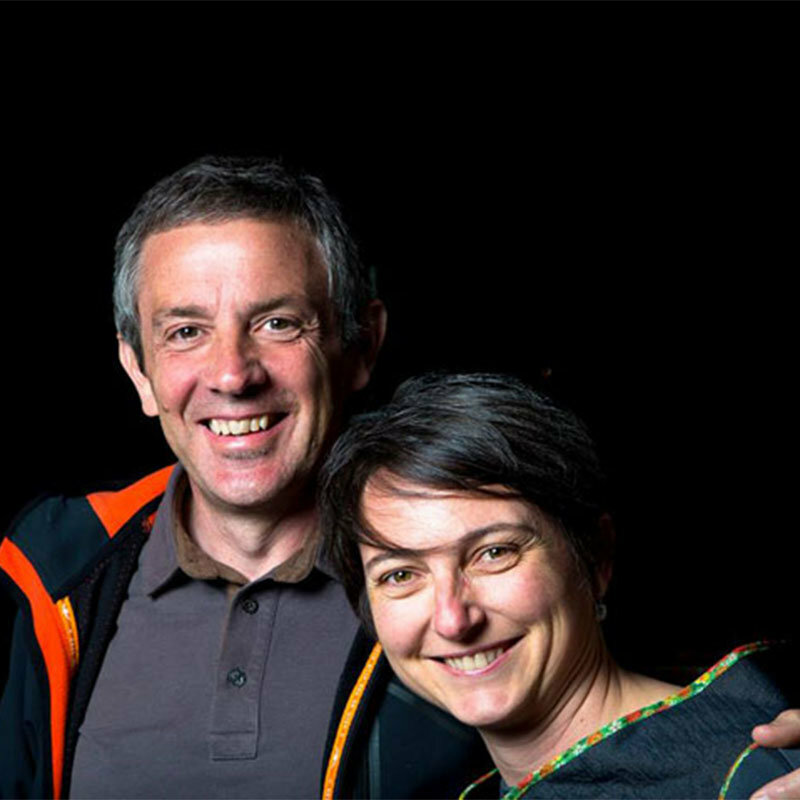 At the threshold of my forty years old we have decided, as a family, to follow a lifelong dream and to make a crucial choice to have time and rhythm of life more sustainable. 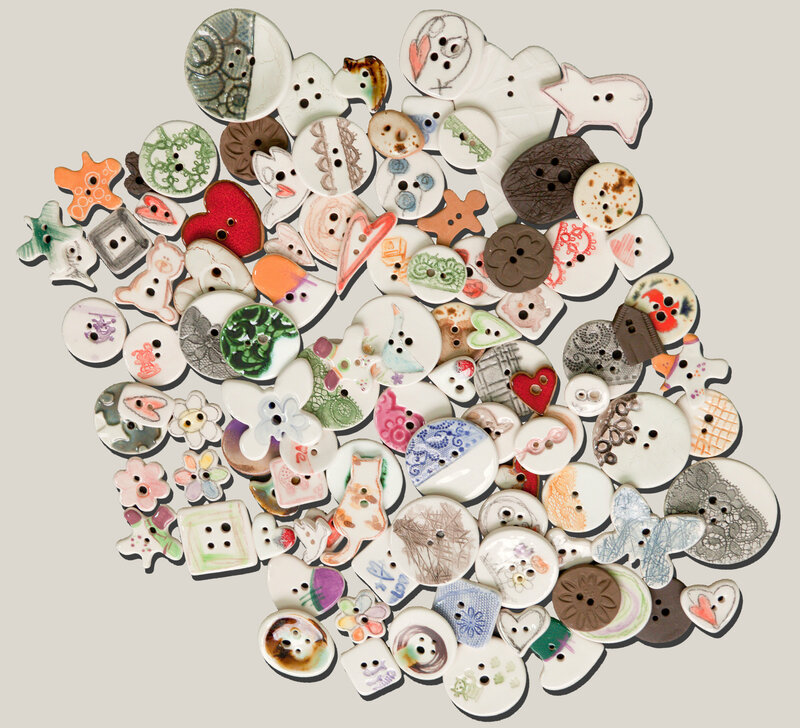 I quitted a safe job and I started to nurture the idea to bring ceramic into daily life of people with small handicrafts: buttons. For a bit of time I shared this adventure with a friend. Where we don’t think we can ever get alone, walking in good company can make the difference. For both of us one of our favourite childhood pastime was to put our hands in grannie’s buttons tin can. Buttons always fascinated me. They crossed the whole life of mankind but they also are part of each of us. To create them in ceramic means to create a unique item that brings in itself our imprint and that gets richer with the history of Mother Earth thanks to the clay of which they are moulded. Styles and personal life choices could not be outwith my work of artisan. I try to take care of the working cycle during each step, to keep attention to the usage of leadless and atoxic materials and to make sure that production is on a ‘close loop’ without waste. While searching for materials for packaging or for some creations, for example, I try to work together with other artisanal entities, social co-op or to use materials coming from projects involved in fair trade. Part of my work is assigned to support ventures and projects in which I believe, transforming into reality the social commitment I actively lived for such a long time. The logo that portrays the meaning of our work is a button that takes shape through a spiral which does not close on itself but ideally continues towards infinity. The spiral finds itself in the Milky Way, in the earth, in the animals. The one in our logo takes inspiration from the ‘churo cosmico’, symbol of the ancestral tradition of an indigenous people from the South of Colombia. It represent an orderly universe in which all things are connected with each other. It symbolizes the relationship and the connection of the existence with infinity, because from origin it leads to infinity and back. 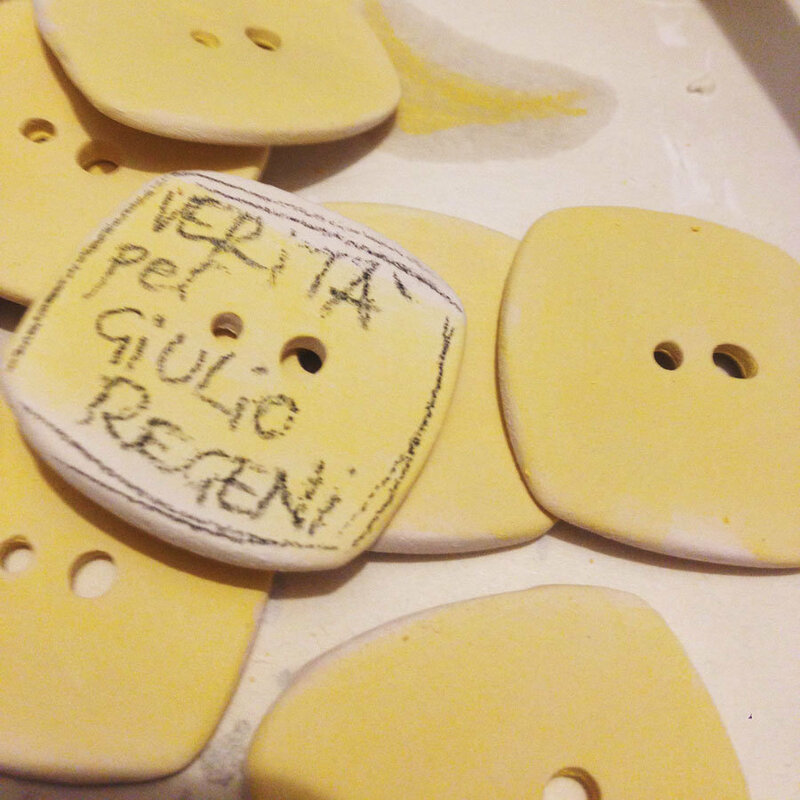 Workshops and courses with various Italian and international ceramists are part of my resumè. As I did not study arts at school I have tried to deepen my knowledge and to undertake a formation path through the endless opportunities given by ceramic. Giancarlo Scapin, Terry Davies, Robert Cooper, Luca Tripaldi, Martha Pachon Rodriguez and Riccardo Biavati. The lifelong dream has become reality. It has become an artisanal entrepreneurial reality teaching me that we must be capable of dreaming and daring for a different and really possible future.